What’s new in soybean varieties? Here are the newest soybean varieties being introduced in commercial quantities for 2012. Here are the newest soybean varieties being introduced in commercial quantities for 2012. This list has been compiled based on the participation of many of the seed companies across Ontario and Quebec. In most of the entries provided, the companies have included crop heat units (CHU) and a very basic description of the variety’s traits and performance. As always, we recommend that you talk to your local seed supplier to confirm availability, and to find out how the new varieties performed locally and in field trials. Although the majority of offerings from seed companies are Roundup Ready or LibertyLink varieties, there are still a number of non-GMO varieties available for 2012. Photos by Ralph Pearce. OAC Drayton is a conventional brown hilum soybean with excellent yield and standability. This is a 2700 CHU variety that topped the performance trials for the last three years. Windfall is a high protein, white hilum soybean that is a very early (2600 CHU) variety. This soybean has large seed, stands well and is easy to combine. R2T0221 is rated at 2550 CHU and is a medium height plant with a bush canopy and above average standability. Best results are obtained on fine- to medium-texture soils. Good performance in soybean-on-soybean rotation. R2T1741 is a 2925 CHU variety with strong emergence whose intermediate plant structure works well in narrow-row situations. Best performance will be on medium- to fine-textured soils and with reduced tillage systems. R2C2351 a variety where the “C” stands for SCN tolerance, is a 3125 CHU soybean. It is adaptable to multiple soil types. A bush type plant structure and good standability. A defensive soybean to protect yield when challenged by seasonal stresses, R2C2351 fits into either conventional or no-till systems. R2C2861 features SCN tolerance and is rated at 3250 CHU. This soybean has excellent emergence and is adapted to multiple soil types. Intermediate bush type plant structure. R2C3011 is rated at 3300 CHU, and is a full-season soybean that has strong yield characteristics on fine- to medium-texture soils. Provides resistance to SCN with a bush type plant. Plant in 15- to 30-inch rows to optimize plant strengths. The many varieties providing enhanced disease tolerance or resistance can also provide the most enticing trait in a soybean: better yields. There are two Liberty Link varieties offered by Croplan Genetics featuring herbicide resistance to Liberty, a non-selective contact herbicide. LC1070 is a 2800 CHU soybean with excellent yield potential. The second variety is LC2399, rated at 3175 CHU. A defensive plant adapted to multiple soil types, LC2399 is best suited for wider rows. Liberty herbicide provides a rotational option in herbicide strategies for growers. RR2 Bronze (2650 CHU) It has superior yield performance and impressive seedling vigour. It is taller in height, with excellent standability. This variety has Roundup Ready 2 Yield technology. RR2 Platinum (2800 CHU). This variety has exceptional seedling vigour and ease of harvest. RR2 Platinum is medium to tall plant height with very good standability. RR2 Platinum has Roundup Ready 2 Yield technology. RR2 Impact (3100 CHU) offers leading yield performance combined with excellent harvestability. RR2 Impact has medium plant height with outstanding standability and Roundup Ready 2 Yield technology combined with SCN resistance and very good SDS tolerance. RR2 Dynamite (3275 CHU) It has impressive seedling vigour ideal for no-till in heavier soils. Medium to tall plant height with very good standability and harvestability. RR2 Dynamite has Roundup Ready 2 Yield technology, SCN resistance and very good SDS tolerance. 900Y61 is a very early maturing variety rated at 2425 CHU. It contains the Roundup Ready trait, and exhibits very good field emergence, excellent harvest standability and contains multi-race Phytophthora resistance (Rps1c). 90Y21 is an early variety rated at 2575 CHU. It contains the Roundup Ready trait. It is a new variety with excellent yield potential. It has a moderate stature and canopy width along with excellent field emergence. 90Y90 is a variety rated at 2750 heat units that contains the Roundup Ready trait. It has superior yield potential for its maturity, good white mould tolerance and very good standability. 91Y41 is a high performing variety rated at 2875 CHU. It contains the Roundup Ready trait. This variety contains soybean cyst nematode resistance (PI88788). It is a taller variety with moderate canopy width and is an excellent choice for no-till systems. 91Y61 is a variety rated at 2925 CHU. It contains the Roundup Ready trait and has superior yield potential. It is a tall, bushy variety and an excellent choice for no-till systems. 92Y12 is a variety with exceptional yield potential rated at 3050 CHU. It contains the Roundup Ready trait and has excellent agronomics and a solid disease-resistance package. 92Y74 is a variety rated at 3200 CHU. It contains the Roundup Ready trait and is a high-yielding variety with shorter stature that has good white mould tolerance. This variety contains soybean cyst nematode resistance (PI88788). It is an excellent option for high-fertility fields. 004R21 is a 2450 CHU Genuity Roundup Ready 2 Yield soybean variety. It has medium plant height with very good standability. Adapted to all soil types with best performance in row widths of less than 15 inches. PS 0753 R2 is a 2750 CHU Genuity Roundup Ready 2 Yield soybean variety. Outstanding yield potential and a great complement for PS 0650 R2. It is suitable for a wide range of soil types and row widths. PS 1563 R2 is a 2900 CHU Genuity Roundup Ready 2 Yield soybean variety. Medium tall with excellent yield potential and very good standability, it is also suitable for a wide range of soil types and row widths. PS 2393 NR2 is a 3100 CHU Genuity Roundup Ready 2 Yield soybean variety. It offers outstanding yield potential with resistance to soybean cyst nematode (SCN). PRO 2525R2 is a Roundup Ready 2 Yield soybean with a CHU rating of 2450. It is a tall, mid-bushy plant with excellent standability. Strong yields in early maturing zones and on all soil types. PRO 2535R2 is a Roundup Ready 2 Yield soybean with a CHU rating of 2575. It contains an excellent disease package with built in Phytophthora tolerance gene (Rps1k), that exhibits good spring vigour and excellent white mould tolerance. PRO 2725R2 is a Roundup Ready 2 Yield soybean with a CHU rating of 2750. It is a variety with good emergence and seedling vigour. A tall plant with excellent pod height gives this variety a very high yield potential. PRO 2835R2 is a Roundup Ready 2 Yield soybean with a CHU rating of 2800. This variety is a medium-tall plant with excellent lodging resistance. Very high yield potential especially on fertile soils. It is a great choice for no-till management. OAC Sunny is a non-GMO soybean with a CHU rating of 2750. It is a medium-tall plant with excellent tolerance to white mould. With exceptional yield and protein levels, this variety has proven qualities for the export market. OAC Calypso is a non-GMO soybean with a CHU rating of 2900. It is a consistent performer on all soil types. With exceptional emergence and spring vigour, this variety excels in both conventional and no-till conditions. Black Pearl is a non-GMO soybean with a CHU rating of 2800. This variety is a black soybean with growing market potential. With high levels of antioxidants and phytochemicals, this variety has unique qualities for the export market. DH618 is a non-GMO conventional variety rated at 2550 CHU. This early maturing variety has excellent yield potential and emergence, is well indexed against Sclerotinia and Phytophora, and has excellent standibility, average plant height, brown pubescence, broad leaf, narrow canopy, and imperfect yellow hilum medium-sized seed. hilum large seed, elevated protein and isoflavone variety. DH863 is a non-GMO conventional variety rated at 2500 CHU. This high-protein, early maturing variety has good yield potential, excellent emergence and seed vigour. Average plant height, brown pubescence, broad leaf. Its branching canopy reduces weed pressure, and offers high protein levels, imperfect yellow hilum and medium-sized seed proven to adapt to various climate conditions. Chadburn R2 is an early maturing, Genuity Roundup Ready 2 Yield soybean rated at a 00.5 relative maturity (2475 HU). Its early season vigour and excellent standibility give it a great fit in short-day areas of Ontario and Manitoba. Colt RR has been developed for the 2600 CHU areas of Ontario. It has a relative maturity of 0.3 (2625 CHU). This Genuity Roundup Ready 2 Yield variety provides excellent yields with its package of good agronomics and ease of harvest. OAC Madoc is a conventional yellow hilum soybean for the 2600 HU areas. It has a relative maturity of 0.1, and is becoming known for its high yields and IP premiums. Valiant RR is a Genuity Roundup Ready 2 Yield soybean with a relative maturity of 2.1 (3000 CHU). This soybean has proven yields on clay and clay-loam soils. It has great pod height off the ground, excellent standability in the field and SCN tolerance. AC Mersea is a conventional yellow hilum soybean developed for the southwestern part of Ontario. It has a relative maturity of 2.0 (3000 CHU) and an excellent agronomic package with high yields. This soybean has potential for food-grade programs. 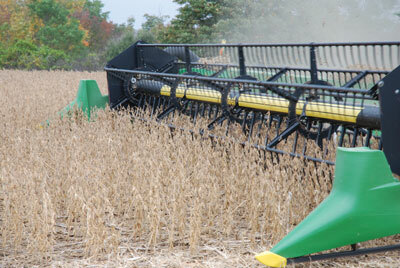 Genuity Roundup Ready 2 Yield soybean for the longer growing areas of the province. S01-K8 is a top-yielding Roundup Ready 2 Yield soybean for the early maturity zone. This 2575-CHU soybean has good white mould tolerance and performs exceptionally well in narrow rows. S05-A7 provides consistency across environments with this 2675 CHU Roundup Ready 2 Yield soybean. It offers fast emergence, and is a top choice for no-till and narrow rows. S06-R9 comes with top-end yield and excellent standability. This new 2700 CHY Roundup Ready 2 Yield soybean is suited for all soils with top Phytophthora root rot protection (Rps3a) and good field tolerance. S10-G7 is a yield leader in this 2800 CHU Roundup Ready 2 Yield soybean. A medium, tall bush type plant that comes with Rps1k Phytophthora root rot protection, meaning it can planted across all environments. S11-P3 is an imperfect yellow hilum with Roundup Ready 2 Yield technology. Check for premium availability. This strong performing 2800-CHU soybean is widely adaptable and works well across tillage systems and soil types. S14-M4 offers solid performance and carries the “Peking” resistance gene for soybean cyst nematode (SCN) in a Roundup Ready 2 Yield soybean. It has excellent stress tolerance and works well in no-till, heavy clay environments. S25-F2 provides aphid resistance in a 3150-CHU Roundup Ready soybean. Also offers strong white mould tolerance with excellent standability and average plant height. This variety comes treated with CruiserMaxx. S25-W4 is a consistent, high-performing 3150 CHU Roundup Ready 2 Yield soybean. It is also SCN resistant and responds well on highly productive sands to loams. S28-M1 offers rugged performance in stressful environments. This 3250-CHU Roundup Ready 2 Yield soybean has the full package for top performance on heavy clay soils, including Rps1c protection from Phytophthora root rot, good field tolerance and SCN resistance. S31-L7 provides top-end yields in this 3300-CHU Roundup Ready 2 Yield soybean. Widely adapted across soil types, this variety provides protection from soybean cyst nematode, sudden death syndrome and Phytophthora root rot. S07-D2 is a high-yielding, high-demand yellow hilum food-grade soybean for 2700 CHU. S09-L7 provides high premiums for this high-protein, contract-only 2750-CHU soybean. It also offers good tolerance to white mould and Phytophthora root rot. S23-J8 provides aphid resistance and non-GMO premiums for this 3100-CHU soybean. Excellent stress tolerance allows it to be planted across soil types. These soybeans come treated with CruiserMaxx. What is new in soybean varieties? 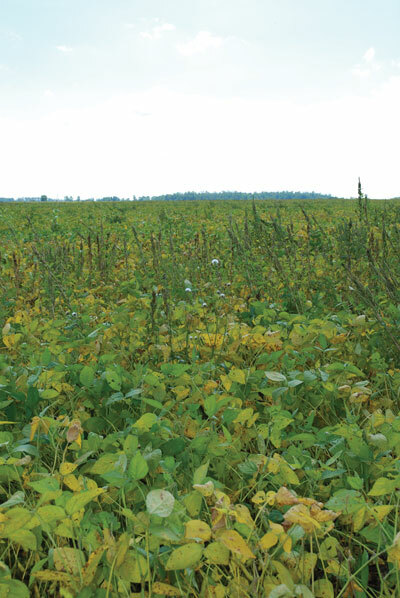 What is new in dry bean and soybean varieties? Is demand for corn threatening soybeans?